After a whopping 72 days of being away from the tennis courts, the world’s No.1 16-time Grand Slam Champ is soon set to return to action later this week for Davis Cup quarterfinals. Nadal fans can finally breathe as the long wait is over. Nadal suffered a hip injury during the Australian Open in January; this was when we last saw the Grand Slam Champ in action. He was up against Marin Cilic and was forced to step down from the game during the fifth set; he was down 2-0 at the time. Nadal has been nursing this injury since then and was forced to pull out from all the major games including Indian Wells and Miami Open. He did, however, manage to maintain his No.1 world ranking even through his brief retirement. Federer was at some point the ranking #1 but his loss in the Miami Open gave back Nadal his title as world’s top player; which he admitted to not knowing that he had reclaimed the top rank at an interview on El Transistor. The Davis Cup tournaments have been a smooth ride for Nadal and he only lost his very first time when he was 17 years to Jiri Novak. Since then, Nadal has won all the 61 out of 66 Davis Cup matches he has played. The upcoming match (Spain vs. Germany) in Valencia favours him the more as it is on his home soil and will be played on clay. 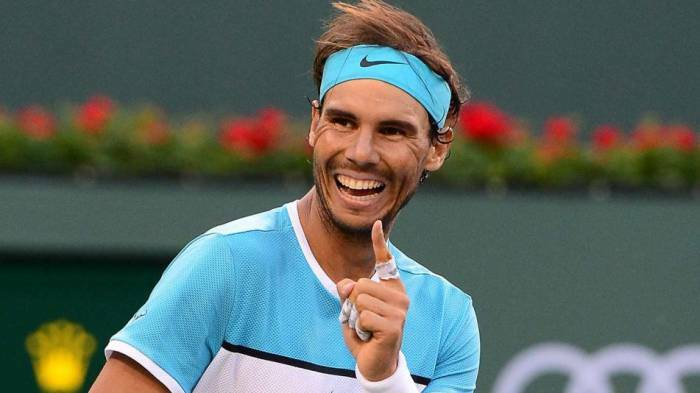 Even so, Nadal is still skeptical of his physical health although he wants to take part in the tie; “I hope to find myself with no injury, I have been very excited to return to competition accompanied by colleagues and friends. I’m hoping it’s a positive week for us all.” He also added that he hopes to respond well since he has had complications since Shanghai. Nadal is a joint 17-1 against the two highest ranked Germans playing this tie; he is 3-0 against Alexander Zverev and 14-1 against Philipp Kohlschreiber. Nadal just began his fifth career stretch—and 168th career week—as No. 1 on the ATP tour.